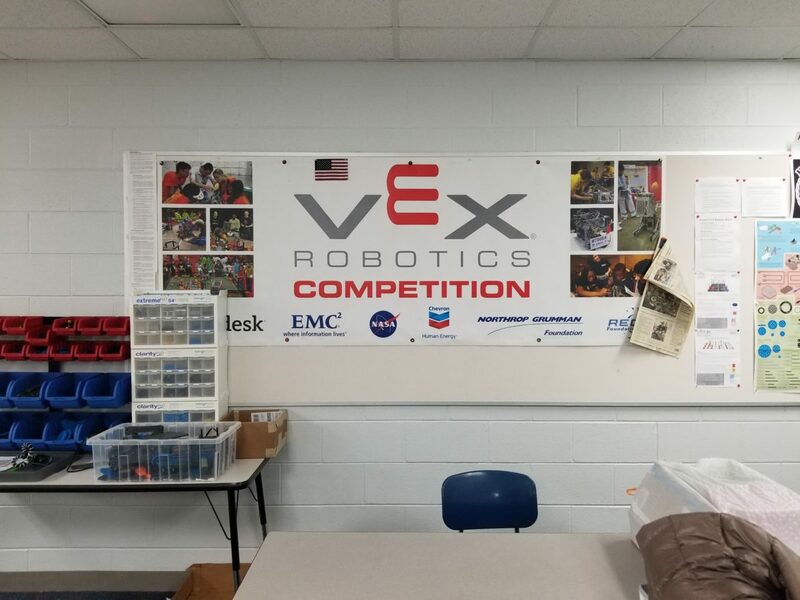 The Haslett Robotics Club will compete in VEX World Championships. One of the Haslett Robotics middle school teams, Controlled by Squirrels, is headed to the VEX World Championships that will take place from April 24 to April 27 in Louisville, Kentucky. Before the World Championships, the team will be competing in the National Championships in Council Bluffs, Iowa from April 4 to April 6. Ryan Opel is one of the three coaches of the team. He’s a lawyer that doesn’t know the first thing about robotics, but his son, Ian, is on the team. Opel said that seeing the kids grow and work together before his very eyes is a privilege in and of itself. The Haslett Robotics Club ranges from teams in elementary school, all the way to high school. Each level has several teams. Two middle schools teams in Haslett made it to the state competition, but this was the only one to make it to the World Championships. Neither of the high school teams nor any of the elementary teams made it as far as the Controlled by Squirrels group. A few of the students talked about what their favorite parts of the club are. They’re all quite close with one another and have formed some strong bonds over the years. I am a sophomore journalism major at Michigan State. I someday aspire to be a sports journalist, potentially in the broadcast industry. I love covering any sport, though my favorite would have to be college basketball. I'm from the Grand Rapids area of Michigan, and I hope to someday be working somewhere in the Midwest, preferably a big city like Chicago.